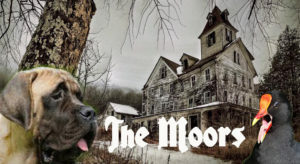 Two sisters (and a melancholy mastiff) live in a ruinous old house on the bleak and fog-enshrouded English moors, dreaming of love and power. When a hapless governess (and a crash-prone moor-hen) arrive out of nowhere, lies are unmasked, loyalties shift, and all are set on a strange and dangerous path until finally – someone reaches the breaking point! A mysterious, menacing, and savagely funny mash-up – as though the Brönte Sisters had been dropped into a comedic production of a play by Samuel Beckett. BONNIE BLACK (The Moor Hen) is delighted to be making her Bridge Street Theatre debut. NYC credits include HB Playwrights Foundation, CAP21, Pan Asian Repertory Theatre, NY International Fringe Festival, Theatre for the New City, ELT and 78th Street Theatre Lab. Regional: The Old Globe, Shakespeare Theatre Company, Merrimack Repertory Theatre, Riverside Theatre, Contemporary American Theatre Festival, residency with Adrian Hall’s Trinity Repertory Theatre and company memberships with the Alley Theatre and Great Lakes Theatre Festival, among others. 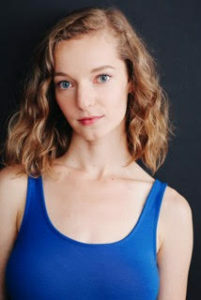 Bonnie appeared at Capitol Repertory Company in Dancing at Lughnasa, at Buffalo Studio Arena in The Importance of Being Earnest, at Stageworks/Hudson in Car Talk and at Shadowlands in Speed of Darkness. 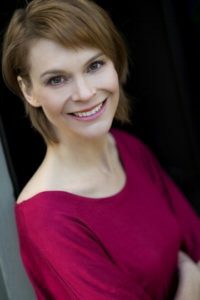 Recently, Bonnie played Ophelia Barnett in The Queens of the Golden Mask at Ivoryton Playhouse, Madame Blavatsky in the workshop and development productions of Citizen Wong with Pan Asian Rep and in the title role of Driving Miss Daisy at Martha’s Vineyard Playhouse. Television includes: FBI, Mr. Robot, Law & Order, L&O: Criminal Intent, recurring on Loving, and several soaps. LORI EVANS (Marjory/Mallory) spends most of her time working with Shakespeare & Company in Lenox, MA, where she has appeared in Love’s Labor’s Lost (Holofernes), A Midsummer Night’s Dream (Egeus, Titania), Emperor of the Moon (Doctor), and Private Eyes (Frank), and where she also teaches and tours Shakespeare and the Language that Shaped a World in their nationally acclaimed education program, and directs in the Fall Festival of Shakespeare, Riotous Youth and in numerous residencies. Regionally: The Beautiful Things That Heaven Bears (Book-It Repertory); Iris (Majestic Theater); Romeo & Juliet (Hubbard Hall); Almost Maine (Gold from Straw Theatre), Into the Woods (Mount Baker Theatre),The Kiss (The Writer’s Voice 10 Minute Play Festival, NYC winner of Best Play in 2018), and working with wonderful Berkshire companies like Aglet and WAM. She is delighted with this chance to get to know the theater community here in Catskill! 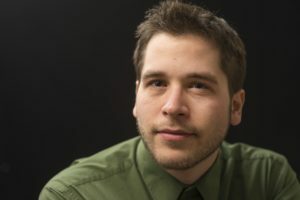 SHANE SCZEPANKOWSKI (The Mastiff) has been working in the theatre community for nearly two decades. His more notable roles include playing Mercutio in Romeo and Juliet, Bottom in a Midsummer Night’s Dream, and Amos Hart in Chicago. Shane received his Master of Fine Arts in Shakespeare and Performance from Mary Baldwin University in 2017 and he is excited to share his talents with the Bridge Street Theater family for the very first time. Shane is an actor at heart and has used that love of performance as a catalyst for honing his skills as a director and a playwright. Some of his more memorable theatrical endeavors include directing The Nerd with Memento, Mori and Co., directing and performing in Paul Menzer’s The Brats of Clarence, and writing his own adaptation titled The Un-Tragedie of Macbeth. This will be Shane’s first time portraying an animal (Mastiff) on stage and while he anticipates a few ruff spots, he is ready to fetch this opportunity, and he refuses to roll over and play dead. TRACY LIZ MILLER (Director) Tracy is honored to work at The Bridge Street Theatre and thanks John for this opportunity. Currently on faculty in the theatre department of Western Connecticut State University. Former Director of Theatre Arts at Chandler-Gilbert Community College in Chandler, Arizona. 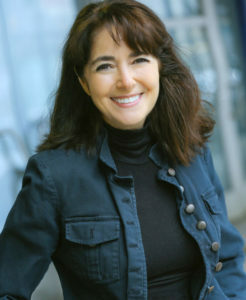 Co-Founding Producing Artistic Director of The Bridge Initiative: Women in Theatre. www.bridgeinit.org. 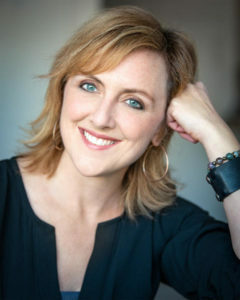 Selected professional directing credits: Gidion’s Knot by Johnna Adams at Stray Cat Theatre/Tempe Center for the Arts, Much Ado About Nothing at Southwest Shakespeare Company, The 12 Dates of Christmas by Ginna Hoben at Class 6 Theatre, Titus Andronicus at Improbable Fiction Theatre Company in NYC. 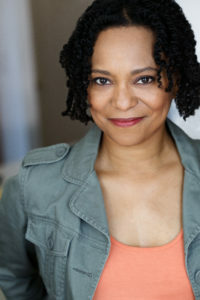 Selected professional acting credits: Titania/Hippolyta in Midsummer at Southwest Shakespeare Company, Dora in The Swan at Chester Theatre Company, Molly in Dusk Rings a Bell at Shaker Bridge Theatre, Julius Caesar in Julius Caesar at Tennessee Shakespeare Company, Tekla in The Creditors at Miscreant Theatre Co in NYC. Academic directing: A Love Story at West Conn, Men on Boats by Jaclyn Backhaus at Arizona State University, Fiddler on the Roof, Eurydice, A Christmas Carol, Mother Hicks, Man of La Mancha, Almost, Maine at Chandler-Gilbert Community College. Member AEA/SAG/AFTRA. Associate Member Society of Directors and Choreographers. Member ATHE and Statera Arts.